Katherine Graham has worked in the field of dispute resolution for over 15 years’ as a mediator and trainer. She has mediated on the BBC Learning Zone and has given keynote speeches on conflict management and mediation for The MOD’s Equal Opportunities Conference, Women in Business Annual conference and “Getting Beyond Conflict”, a national conference on workplace dispute resolution. Katherine joined CMP Resolutions (formerly Conflict Management Plus) in 1992. She was made a director of the company in 1998 and became Managing Director in May 2009. Prior to this she managed teams in publishing and communications departments for major national charities including The Work Foundation, the RNID and the King’s Fund. She was the inaugural Chair of the Institute of Conflict Management. Masculine control of our culture is like that woman-eating crocodile: some of us never experience its bite, others see a glimpse of its toothy grin, but it only need destroy one woman once in a while, in order for the fear of it to affect all women. Once there was a very small person who had feelings. Following up from our recent article on “10 excuses bosses give not to bring in a mediator”, here is an infographic illustrating the 10 top justifications senior managers give for not “bringing in the mediators” to resolve a conflict in their organisation. How many have you heard? Given that universities are where the ‘best educated’ people go, it is disheartening that so many of them appear to see university as a passport to transgress. Training to be a mediator is very popular particularly for people who have been made redundant and are looking for alternative stimulating and rewarding employment. And quite right too because being a mediator is deeply satisfying work! Sometimes as part of an investigation, you have to determine whether a policy is inherently flawed or whether a manager is applying it incorrectly – intentionally or not. So one measure of assessment in a grievance or disciplinary investigation is whether the behaviour fell below the standards of the ‘ordinary reasonable person’ in the same situation – the famous ‘man on the Clapham Omnibus’. The C-suite, the Board, senior management – call it what you will, those at the top of an organisation are as prone to conflict as the rest of us. But even more than the staff base, senior management are reluctant to use mediation. Workplace mediators are able to influence the way the parties approach the content, interaction and process of their conflict. And they do this by selecting an intervention from a “continuum of power and influence” which moves from indirect through direct to coercive. White mediators tend to believe that as mediators they are impartial and empathetic, and that they are delivering a process that is balanced and empowering. So naturally, they believe their management of issues of race in a mediation is going to be fair and appropriate. Most people accept that life can be busy and difficult, and much of the time people cope with stress at work or with stress in their private lives. But there are very few who can cope with both at the same time – and the signs will be there if you look for them. Everyone’s at it – criticizing the whiteness of this year’s Oscar nominees for not representing enough black stars. Before you start implementing a grievance or disciplinary process, be aware of the three possible points of quality failure before you start. In many organisations, mediation only plays a limited part as an activity to resolve a specific conflict. But it can do so much more. The nudge approach encourages focused practical consideration of small steps which have a rapid and observable impact. Nudge gets the mind out of neutral so that the journey forward has momentum. A jargon-free FAQ for people who have been asked to take part in a workplace mediation. What is mediation? The Employment Appeal Tribunal has said that HR involvement with the investigating offier, hearing manager or deciding officer should not go beyond legal advice, and advice on matter of process and procedure. Entitlement. From a conflict management perspective, what’s happening is that a person is confusing a ‘want’ or interest, with a need – a fundamental unalterable need shared by all humans. So what you hear is a defense of their position and their wants; and descriptions of their feelings as though they are “Facts”. “Soft skills like communication and teamwork are incredibly important to our business because of the impact they can have on our customers’ experience. As integral as they are to the performance and progression of our employees, I know that we can do more to recognise their importance which is why we are launching this campaign," says the Chief People Officer of McDonalds UK. Coca-Cola organised a social experiment in for their no-label campaign. While we are not supporting Coke’s products, we do feel this is a great message to share! In our final week of watching Carol’s struggle with Mike and her team, we see the outcome which many organisations are all too familiar with, as the employer is now Counting the Costs. Over the next 6 weeks we will be following Carol, Mike and their colleagues, as they experience the difficulties that arise when we don’t have the skills to handle conflict at work. It all ends in an unnecessary grievance; so how did something that started out as a small problem get to that outcome? Judith Resnik, Arthur Liman Professor of Law at Yale Law School, has published “Diffusing Disputes: The Public in the Private of Arbitration, the Private in Courts, and the Erasure of Rights,” 124 Yale Law Journal 2015. In her article, Professor Resnik provides a different perspective regarding the effect recent Supreme Court precedent pertaining to class waivers has had on arbitration in the United States. “Universities should include mediation in their framework for handling student complaints,” says the IOAHE – and so say all of us at CMP! The formal process is long, complex and saps everyone’s time and energy; most students with complaints about staff behaviours and attitude would prefer to talk it out, in our experience. I am disappointed by the media’s return to the generic ‘he’ and ‘man’. What happened to respect and dignity? I certainly don’t feel respected when I’m told that ‘mankind’s first dwellings were…’ or that ‘a doctor feels he needs to…’. I feel my dignity is under attack when, on challenging this, I am told that a generic masculine is ‘understood’ to ‘include’ women, and that really I am making a silly, outdated fuss about nothing very important. A sacred cow of mediation is that it must be voluntary – and anything else is undermining the values of mediation and somehow almost violating people’s human rights. I disagree. And I’ll explain why. Disability. Is it my new dirty word? Dis-abled? Less able? Less competent? Can’t do the same as everybody else? It’s a scary word. Both for the person labelled as disabled and for those working around them. The whole disabled vocabulary is fraught. It’s no secret that I can be spikey – and I sometimes rue the things I say after I’ve said them. And, believe me, I do understand why HR Directors need to be at the Board Room table, because without that influence your job is all the more difficult. The Health Board South Wales asked us to train their Serious Incident Investigators. Although we know investigating inside and out, this was a new context for us that involved a lot of research and adapting to their needs. And it paid off! Positive mediation outcomes are fairly common, which you might think is down to the magic of mediation. But there are several implicit reasons why mediation outcomes are high, which aren’t generally to do with the quality of the mediator! I want people to understand the reality of mediation and what it can achieve, and not to be taken in by the rhetoric you’ll find on some websites. I’ve always been intrigued about what it’s like to be someone else. We’re so isolated in our own thoughts and feelings, we only see the surface of each other. And it’s scary to be genuine with other people; there are so many social constructions that formalise how we talk to each other and I find those exhausting and limiting, and often meaningless. So what I love about mediation is that when you’re mediating you’re actually in a space where people are really working hard to not collude with those social constructions. Mediation is not an easy option; it is far easier for humans to tolerate the status quo or seek someone else to fix things for them. Mediation must be the workplace equivalent of root canal work at the dentist. 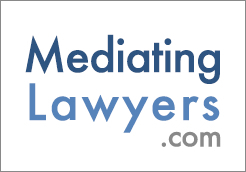 Mediation is commonly measured in terms of settlement rate (i.e. did the parties agree?) and you’ll see figures like ’80% settlement rate’ bandied about. In our view this is not the only measure of success. There are many more! Think about which measures matter to you – the parties, the mediators, and your organisation. Sian is the Communications Manager for a UK charity and has recently appointed James, a designer whose job required frequent contact with production officer Helga, who had worked with Sian for over 3 years. Sian had a sinking feeling that things were not going too well between James and Helga, but Sian was busy and, optimistically, had put the tensions down to early teething troubles and hoped she could leave them to sort out their differences ‘as adults’. Following on from our recent article questioning if mental health and mediation are always the right process we have followed up with a visual infographic to illustrate these points. Lucy and Andrew are senior professionals in a small department within a major IT company. Lucy reports to Andrew, but the relationship is an unhappy one. Andrew comes to Karl, the Head of HR, because he’s had enough of Lucy’s behaviour which he describes as difficult, negative, undermining and disloyal. He sees putting her through the Disciplinary process as his only option. How robust is your organisation’s approach to conflict? We’ve developed a quick checklist to help you find out. Good judgment skills are crucial in mediation and investigation. Misread a situation and it can be fatal. Act without prior consideration and it can destroy rapport. Misjudge parties and they may forgive you, but it will take a while before they trust you again. In many organisations, mediation plays only a limited part, and is done as an activity to resolve a specific conflict. But mediation is more than a specific process. It’s also a set of tools designed to help people let go of their anger and pain and arrive at win-win outcomes; and it’s a collection of values and beliefs which determine how we go about responding to conflict. No employee wants to become embroiled in a workplace dispute. If conflict at work isn’t resolved, it can cause stress, frustration, loss of sleep, a bad temperament, illness or other issues for individual employees. Key results from national research into internal mediation services in the UK. What you need to do to get the most from your service. I’m often surprised at how mediators and the mediation world talks about mediation to the people they want to take part in it. For people who are in the ‘communication’ business, we get very jargonistic and forget that while we might know what mediation is, the person being asked to take part may be very unclear what ‘process’ ‘win-win’ and ‘impartial’ actually mean. 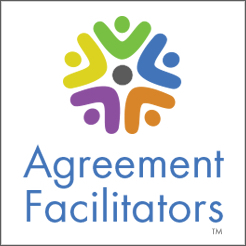 So here is my jargon-free, easy-to-use FAQ for people thinking about taking part in mediation. Thank you, all you parties who said yes to mediation. Thank you for having the courage to try something new, for having hope for a better future. Thank you for believing that mediation could hardly make things worse, and might make things much better. The mediation process is simply the structure of a different type of meeting. In NLP terms, it is designed to allow pacing of the parties by the workplace mediator, followed by leading by the mediator. The process allows parties to visualise what may happen. Like a doctor explaining an operation, talking through the sequencing and timing, any key events and how people typically have felt in the past going through this, we as mediators need to talk through what is going to be a new and anxiety-inducing process for the parties. In-house mediation services are growing in number and the successful ones build on firm foundations. CMP Resolutions has developed a comprehensive Guide (Linked at the bottom of the page) to help you think through the essential questions to ensure your mediation service is set up for success. We know that Organisations that have addressed these questions in advance become those where mediation is widely used, has the highest agreement rate and a continuing impact on employee engagement and fewer grievances and discipliniaries. In an effort to reduce the burden on the Employment Tribunal (ET) System the Government consulted widely in 2011 to come up with some proposals for pre-empting claims and resolving grievances before they escalate. In November last year BIS responded to the consultation with their proposals. We each have weaknesses, habits, egos and fears which cause us to mess up in our workplace relationships from time to time. There isn’t an employee at any level alive, who hasn’t annoyed, undermined or hurt a colleague along the way. Mostly we see what we do, we take responsibility and seek and gain forgiveness – the mess is cleared up and we can move on. I don’t want to mediate people on their best behaviour! They can’t sustain that type of interaction, or we wouldn’t be here in the first place! I want to mediate people who are being themselves and who are trying to communicate openly and honestly. My role is to be creative and supportive in how I do this – and that means working a lot harder than falling back on ‘respect’. If I hear one more ‘mediation expert’ talking making the claim that mediation ‘nips conflict in the bud’, I’ll scream, and not because it’s a terrible cliché! Of course mediation does no such thing. Nor should it. CMP’s mediation service, and our training, has long been proud of the fact we do not ‘nip conflict in the bud’ and it is a sign not only of illogical but also superficial thinking about conflict and mediation, to claim simultaneously that conflict is a ‘positive’ thing which has ‘benefits’ for individuals and employers, and also to state that one of the main accomplishments of mediation is its ability to ‘nip conflict in the bud’. I have for many years been a lone voice in the workplace mediation world in advocating the use of mandatory mediation.